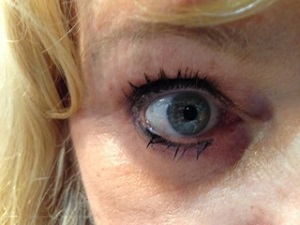 This is a picture of my eye 9/15/2014 I have been using Viktoria De Ann for 2 years. No Botox. The essential tools for reconstruction and optimum skin health are the biologically active peptides in Viktoria DeAnn's treatment products. Powerful designer peptide messengers in these products are scientifically formulated to enhance the growth layers of the skin, initiating the skins natural cycle to repair, recover and reconstruct correctly. 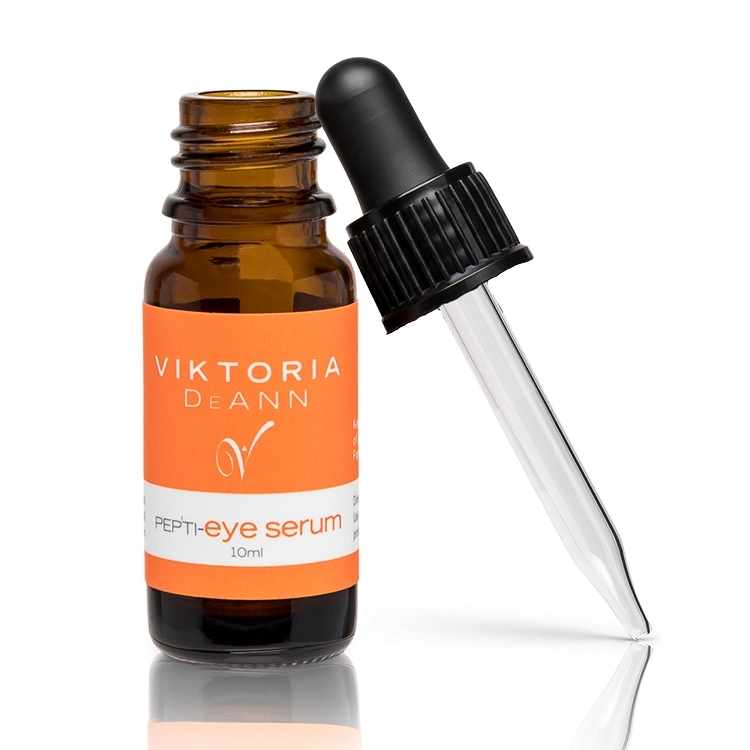 Under Eye Serum's UET-3 peptide complex penetrates quickly and helps to brighten and firm the delicate skin of the eye area. The signs of aging (stress, puffiness, and dark circles) are reduced to improve the appearance of the skin. Acting as an antioxidant and optimizing hydration, green tea extract and soluble collagen are complimentary actives to the UET-3 peptide complex. Best eye fixer I have ever used! Love this product! The dark circles under my eyes have lightened up and I am noticing the lines around the outside of my eyes have decreased. Very happy with the results so far. Like this product. Works well with the fine lines. LOL! Not even the same color eyes! Duh! It works great, but why ya gotta lie?! I cannot believe my eyes. They have never looked better.